Manchester, NH – In a ceremony at the Bedford Village Inn last night, the Better Business Bureau awarded Phaneuf Funeral Homes and Crematorium with the 2017 Torch Award for Marketplace Ethics, the award they bestow on the most ethical businesses in New Hampshire. According to Howard Brodsky, Chairman of the BBB and CEO of CCA Global Partners, out of the many outstanding applications submitted, Phaneuf Funeral Homes best embodied the spirit of the award. Phaneuf won in the Medium-Sized Business category. Financial Focus of Wolfeboro won in the Small-Business category, and CruCon Cruise Outlet of Moultonborough won in the Large-Business category. Six years ago, Phaneuf Funeral Homes embarked on an ambitious journey: to apply for the Granite State Quality Council Award, which is based upon the Malcolm Baldrige National Quality Program. The application process took 18 months. “Going through that process, we realized there were significant opportunities for improvement in our organization for creating procedures, and developing metrics, as it related to ethical standards,” Phaneuf said. 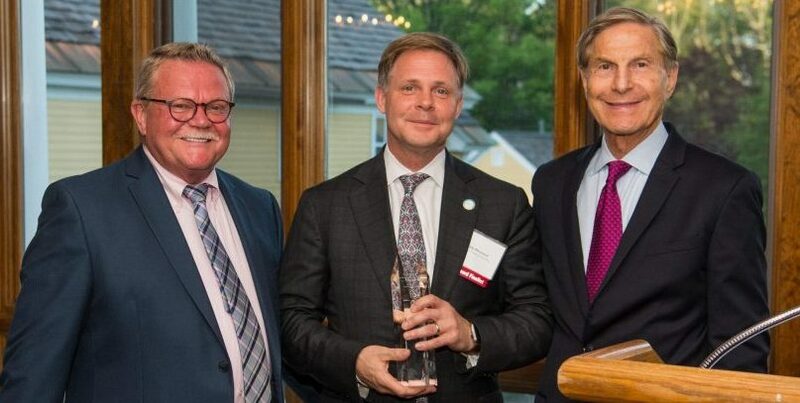 “We emerged a more ethically-focused company for our stakeholders and in the end were awarded the Achievement of Excellence by the Counsel.” Phaneuf Funeral Homes is the only NH Company ever to achieve this level. “The process taught me how corporate and social ethical responsibility play such important roles in becoming a best-in-class organization,” Phaneuf said. Phaneuf Funeral Homes and Crematorium has been serving the public since 1906 and is one of the oldest continually-owned family funeral homes in New Hampshire. Phaneuf is the largest provider of funeral services in the state, and operates four funeral homes, three crematories, and four chapels and a cremation society. Visit www.phaneuf.net for additional information. The BBB conducts an annual awards program to give public recognition for businesses and organizations that maintain a solid commitment to conducting their business practices in an ethical fashion. Each year, three companies of different sizes are selected to receive a Torch Award for Marketplace Ethics.